Keanu Reeves is making ladies lose their minds. Ladies are losing their flippin’ minds over Keanu Reeves and his new black and white “GQ” photo shoot. 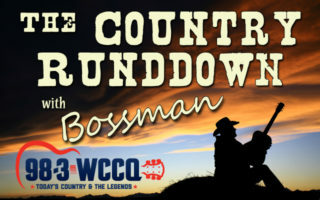 Check out the latest episode of The Country Rundown! Have you seen the Video for Burn Out? Listen to Chely Wright’s New Single! Luke Bryan’s wife shared an awesome video! Kiefer Southerlands new album “Reckless and Me” drops tomorrow! Carrie Underwood inviting you to perform with her on stage!